Is Your Hair Color Too Boring for Spring? I’m a platinum blonde girl and this is an adventurous color by itself, but even that choice can be put aside by what we saw on the SS17 runways. Pastels and rainbow mixes are very exciting and hip, so why not giving them a chance coming next season? I wanted to share with you images of girls that look young and fresh but also tasteful and within context. Natural hair sounds easy and comforting while candy and sorbet colors are highly photographable and attention-grabbing! Sweet pink hair at the Fendi SS17 show was a playful and sophisticated nod to a woman’s confident nature. It works with many skin tones or at least it’s adjustable. 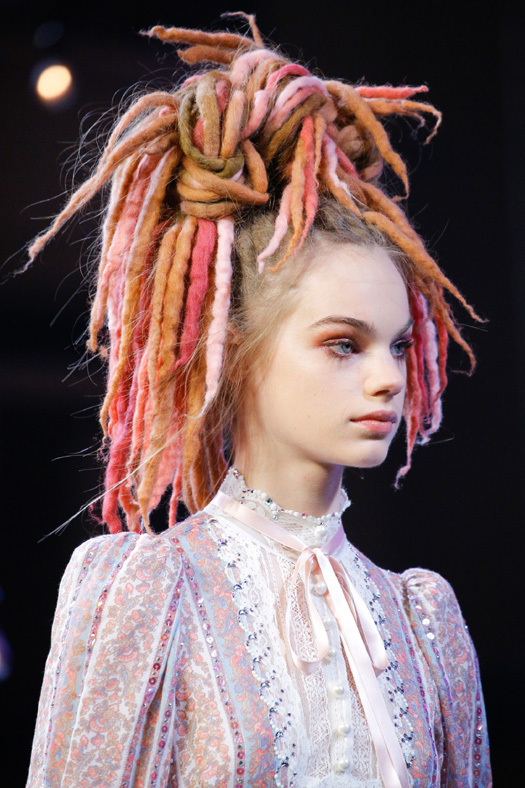 Colorful dreadlocks against a natural base was a huge statement at the Marc Jacobs SS17 show, and one that caused great controversy. The hairstyle was fairytale-looking, working perfectly with the romantic frocks and edgy frocks. 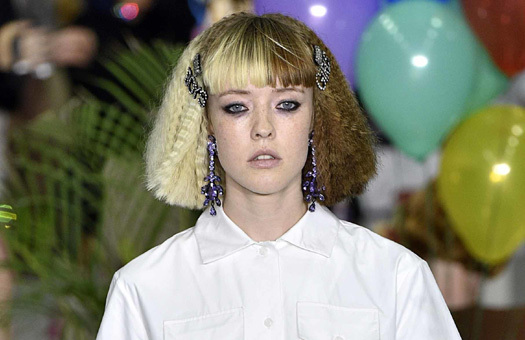 Dual hair color was a trend that was perfectly executed at the Ashley Williams SS17 show during London Fashion Week. Hair was also crimped and cut in a voluminous banged bob. I loved it! What about you? Are you ready to embark on a hair color adventure for the warmer months? Send me your own favorites or ask for more advice through my live chat.